The Nautilus Productions crew has an extensive background covering the US Military. 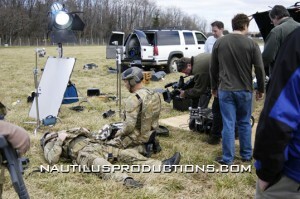 Three decades of military expertise can be brought to bear on any military shoot or government video production. 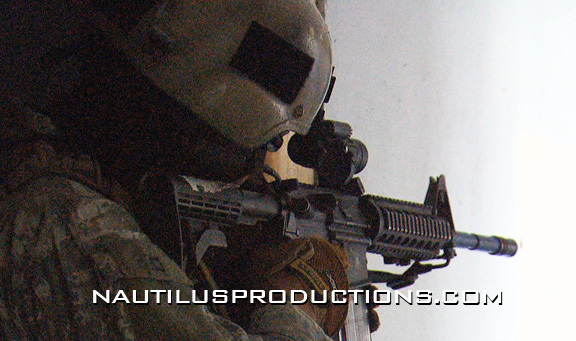 Need video of a 155 Howitzer in action, air to air video of a UH-60 Blackhawk, Special Operations Forces training, Coast Guard air crews, MOUT training, Scuba Teams, DARPA, DHS or a night live fire – call us! We can be at the gates of USCG Base Eizabeth City, Camp Lejeune, Cherry Point MCAS, Seymour Johnson AFB, Pope Army Airfield, Fort Bragg and Virginia & South Carolina military posts in hours if not minutes. The world’s longest airborne operation during Centrazbat 97’. The 82nd Airborne parachuted into Kazakhstan and joined in peace keeping training for two weeks with Kazakh, Uzbeckh, Turkish, Russian and other central Asian troops. Carrier operations aboard the USS America and war games aboard the USS Mt. Whitney. US Army Special Operations Forces Scuba Team Training. 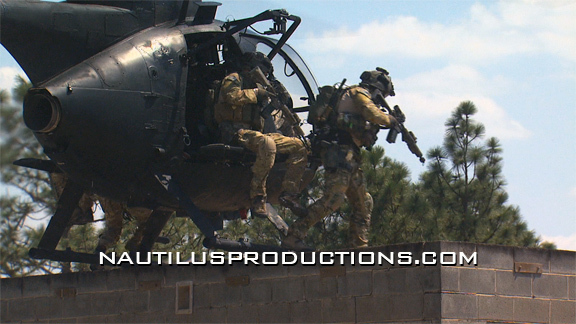 Special Operations Forces & NBC training and exercises. 82nd Airborne duties in the Sinai, Egypt as part of the Multi-national Force and Observers enforcing the Camp David peace accords. 16th MP’s providing security while stationed at Guantanamo Bay, Cuba during the Haitian exodus from Cuba. COSCOM and MP units assisting the victims of hurricane Andrew in Homestead, Florida. Also Army, Marine Corps and National Guard disaster relief efforts over the last decade. Hometown coverage of troops and families at Fort Bragg during operations Desert Shield/Desert Storm and the Panama invasion. 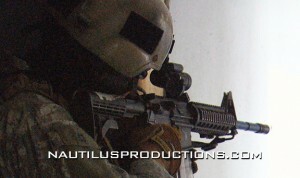 Numerous JRTX’s, JEFX’s, CAPEX’s, Air Assaults, All American Weeks and other military exercises. The 40th & 50th D-Day Reenactments in Normandy, France. COSCOM and MP units assisting the victims of hurricane Andrew in Homestead, Florida. 82nd Airborne and Special Forces operations during operation Uphold/Maintain Democracy in Haiti. Gallant Eagle exercise in the Mohave Desert. 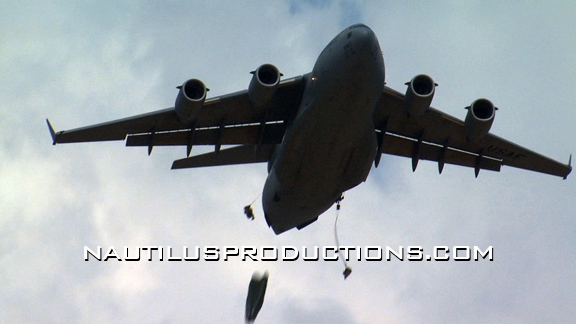 Troop returns from Granada, Panama, Desert Shield/Desert Storm & much more. Army, Marine and National Guard disaster relief efforts for the last decade. 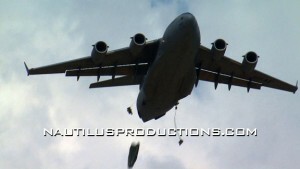 MILITARY STOCK FOOTAGE: Special Forces Scuba Teams, C-17’s, A-10’s, C-141’s, C-130’s (in flight and cockpit), UH-60 Blackhawks, Pope AFB; Green Ramp, Flight line, Flying Tigers, Airmen Marching, Airfield Assault, 82nd Airborne Paratroopers; Pass in Review, Paratroopers, UN Troops, MIG’s, Uzbeckh Tank Academy Cadets, MFO/Huey UH-1 sling load operations & the B-17 “Memphis Belle.” Countries; Kazakhstan & Uzbekhistan people, bazaars, cities.